Washing your dog can easily turn you and your bathroom or laundry area into a soaking wet mess. It is often tiring, time-consuming and stressful for any pet owner, not to mention the pet. 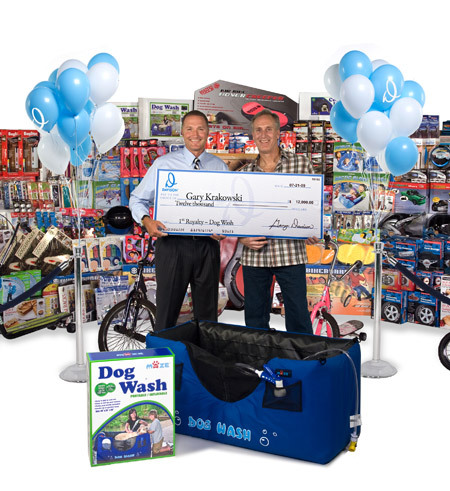 We developed the Dog Wash for a client who wanted a simple, convenient way to wash their dog. 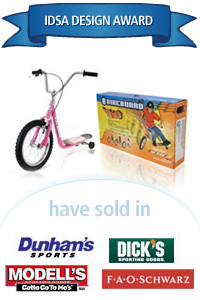 The heavy-duty, inflatable unit is quick and easy to set up for use outdoors or in a garage. 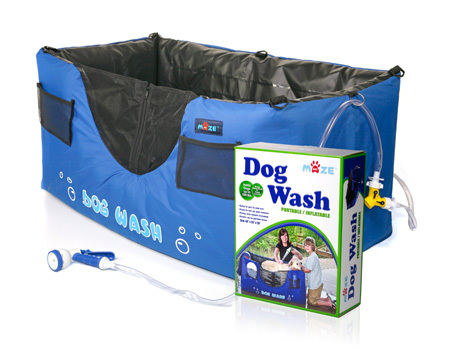 Simply inflate and hook it up to your garden hose for a fun and easy bath for your dog. It offers a flexible full spray and a gentle side spray and is made of puncture-resistant material. A side zipper provides an easy entry for dogs up to 100 pounds. Lightweight and portable, it’s also easy to store and take on vacation!